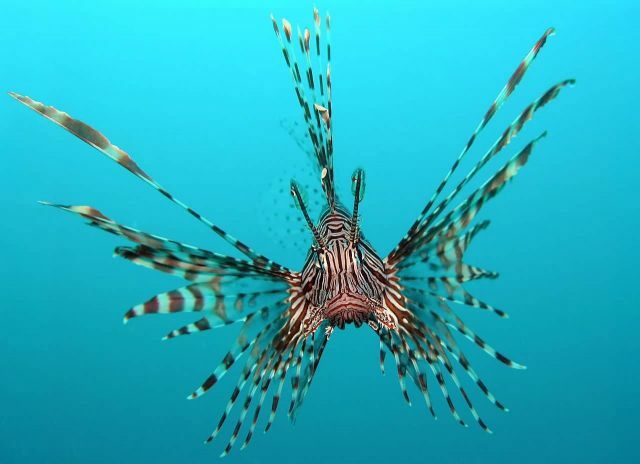 Lionfish is a genus of venomous marine fish. It is native to the Indo-Pacific. It is also called zebrafish, firefish, turkeyfish or butterfly-cod. Its characterized by conspicuous warning coloration with red, white, creamy or black bands, showy pectoral fins and venomous spiky fin rays. These fishes are 5 to 45 cm in length. They are well known for their ornate beauty, venomous spines and unique tentacles. It can live from 5 to 15 years.